This awesome World History 2 SOL review packet is by far the best way to get your students prepared for a final exam! It includes a complete 19 page packet and 37 slide PowerPoint presentation on a complete year of material. Each page is filled with fantastic graphic organizers, visuals, and outlines to help students understand key information. All information is based on state and Common Core Standards and focused on helping students focus on essential topics. When completed, this packet makes for a perfect study guide for World History. Every single vocabulary term, important figure, and event from the year is included! I guarantee your students will have a greater comprehension of the entire curriculum. I begin reviewing with this packet and PowerPoint about 2 weeks before our SOL and cover a few pages a day and my students always do amazing on the SOL test! You can download this awesome World 2 SOL review packet here! Inca, Maya, Aztec Google Classroom Set PLUS African Civilizations! This awesome activity for teaching about civilizations in Africa and Mesoamerica features 9 fully-editable Interactive pages using Google Drive! The pages cover the Maya, Aztec, Inca plus Ghana, Mali, and Songhai empires with a variety of links, graphic organizers, and more! While it may seem off to bundle African civilizations with those in the Americas, this is how a lot of World History standards are grouped!These super-engaging pages can be completed all online with laptops, tablets, or any other device that supports Google Drive! • Vocabulary activities and more! Students use the dozens of included links to research, then type directly on the pages, insert images, and drag and drop information for a variety of engaging, interactive activities! This is a fantastic way to integrate technology into your classroom and can be completed without printing any paper! Awesome for a 1:1 school or just a trip to the computer lab. An answer key for all 9 pages is included along with 2 pages of teacher directions. All you only need is a Google account and you're ready to go! You can find more great Digital Interactive Notebooks for World History here! New US History Curriculum Packages with free LIFETIME Updates! Over the past few years of creating new resources, I added more and more to the point that my Complete US History Curriculum was too big to be hosted online (about 1.6 GB). As a result, I made it available only on a USB flash drive that I would mail out. However, TpT recently increased their file size limit up to 1 GB. While this still isn't big enough to hold ALL my American History resources, it is big enough to break the curriculum up into 2 halves! Best of all, these 2 downloads give you free updates for life! Every new resource that I add in the future for US History will get added to these 2 bundles. That means more Google Classroom activities, projects, interactive notebooks, and more! These resources are thorough, rigorous, and hyper-engaging. Your students will love your class and you'll finally have time to devote to their needs instead of stressing about planning. I promise you you'll love these packages! This download includes over 30 amazing teaching resources for a complete unit on America's Constitution and the Philadelphia Convention! Everything is planned out for you throughout the 2-3 week unit. Every day is packed with activities to engage your students and help them understand the Constitutional Convention, Founding Fathers, and America's government. Plus there's more resources included on the Articles of Confederation, a Jeopardy-style review game, and editable test. You won't find better lesson activities to teach about the Constitution anywhere!! If you teach American History and are looking for more great resources, this entire unit plan bundle is included as part of the American History Part 1: Complete Curriculum Digital Download. Thanks for checking it out and happy teaching!! This awesome activity on the Period of Reconstruction has students assume the roles of different Americans during the 1870's to evaluate how various Reconstruction policies and events would affect them. After reading about their character, students have to think critically about each aspect of Reconstruction. They then decide which parts of Reconstruction would be positive for their character and which would be negative. There are 14 different aspects of Reconstruction (Scalawags, Carpetbaggers, Black Codes, the KKK, etc), students must analyze. They then decide whether Reconstruction was a success or failure from that person's perspective. This is an awesome higher-level thinking activity that will help your students gain a deeper insight into the lasting effects of Reconstruction. This download includes both printable and Google Docs versions of the activity! If you're in a paperless classroom or just want to integrate more digital resources, you can use the provided link to bring this resource into Google Classroom! 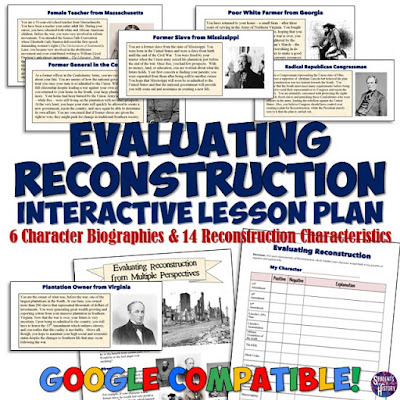 The Google Doc version also includes links to online sources for students to research how each aspect of Reconstruction affected different Americans. You can find a great companion PowerPoint on the Age of Reconstruction here which I use prior to this activity. Both of these activities are also part of my Civil War & Reconstruction Unit Bundle. This lesson plan on the Boxer Rebellion features engaging primary sources, videos, and a reading activity all in one download! 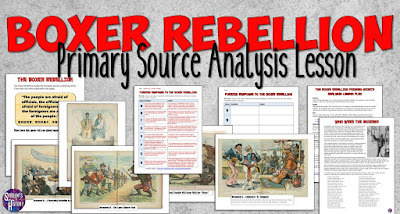 This is a fantastic resource for covering Imperialism and gives an excellent overview of the China's 1899-1901 Boxer Rebellion. This also includes a Google Drive digital version of the lesson plan! If you've gone paperless or want to integrate more technology, you can use the included digital version through Google Classroom! You can download this for your classroom today by clicking here. 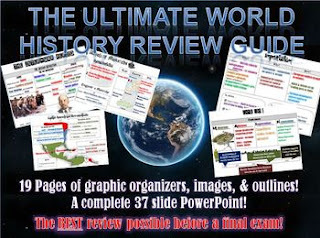 PS: You can get this great resource PLUS over 500 more amazing teaching activities for World or American History through a simple monthly subscription to my site StudentsofHistory.org! Joining the site gives you immediate access to every engaging resource — each highly reviewed by thousands of teachers across the world! Save yourself time, energy, and sanity by joining today! 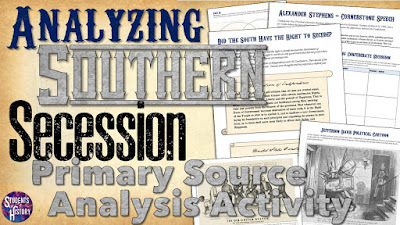 This fantastic lesson plan allows your students to analyze different primary sources related to Southern states seceding from the Union prior to the Civil War. The activity is very easily adaptable for different grade levels and students. It can be done individually or in small groups with students working together to analyze the printed copies. You can also do the activity digitally through included Google Docs version! 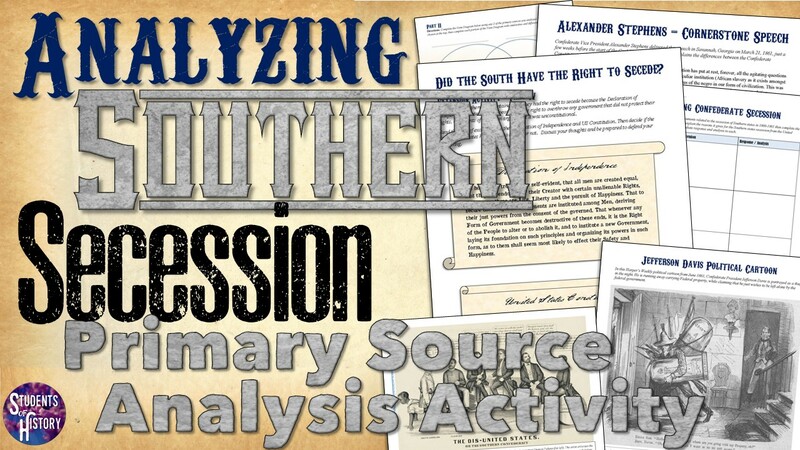 This is an awesome lesson to help your students better understand the real reasons the South seceded from the Union by analyzing the actual primary sources from the era. The activity can also be downloaded as part of the Civil War & Reconstruction Unit Bundle with over 50 awesome resources for teaching all about the Civil War! Thanks for stopping by to check it out!